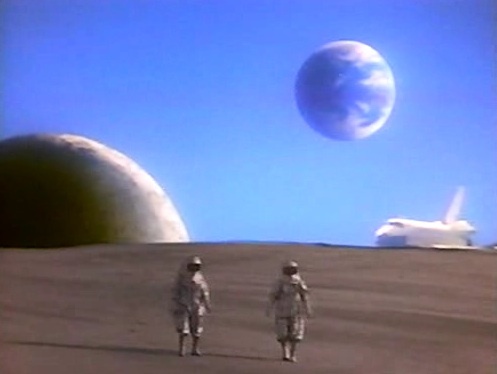 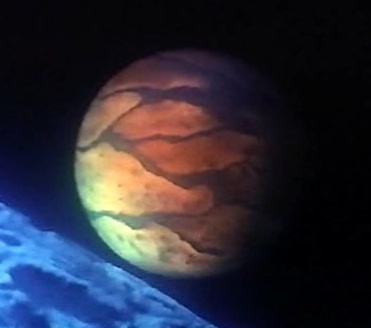 Though some non-show sources expressly referred to Rita being released on the moon, footage in "Day of the Dumpster" appeared to show astronauts landing on a planet or planetoid which looked distinctly un-lunar (some shots even showed the moon nearby as a separate entity). 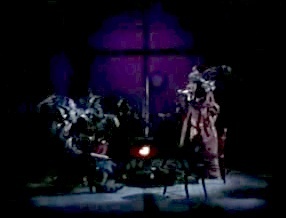 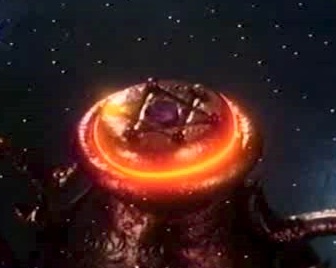 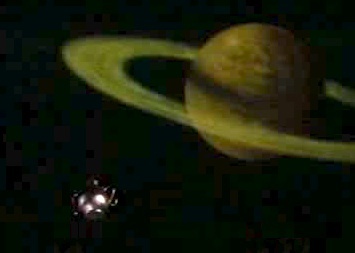 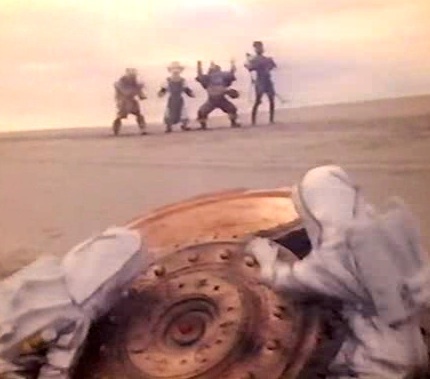 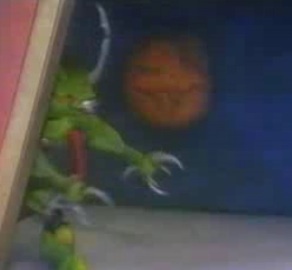 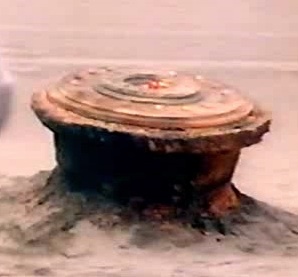 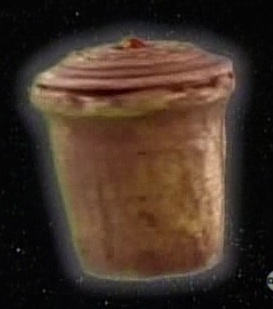 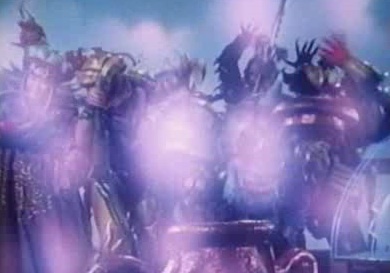 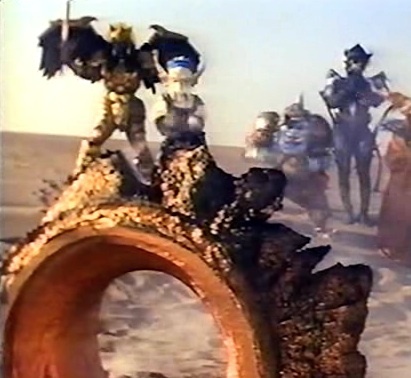 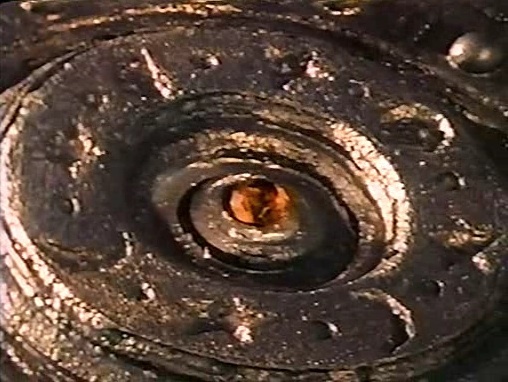 In the Mighty Morphin Power Rangers Fan Club Video (see notes at MMPR season 1), Rita and crew were apparently sealed in a golden urn-like object which Alpha's narration referred to as an "intergalactic recycling bin" (as well as a "dumpster"). 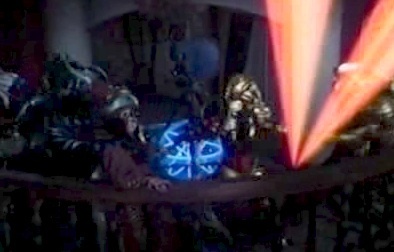 A flashback of Thrax's origin revealed the villain was apparently sealed away by the Sentinel Knight in what resembled Rita's original (larger) space dumpster. 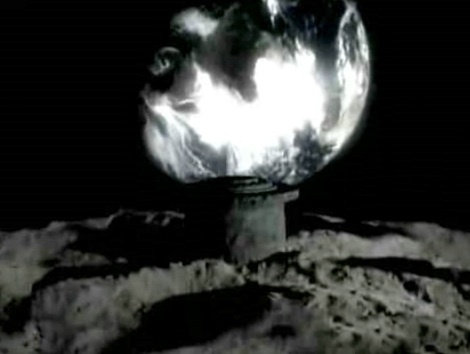 He later broke out while the container lay on what appeared to be the moon.